Mark Lawrenson read the comments and it saved his life. People say “Don’t read the comments” all the time and whether it’s good or bad feedback, most people in the media ignore the comments as best they can. This is one of those times where it’s beneficial and potentially life saving to read comments from fans and viewers. 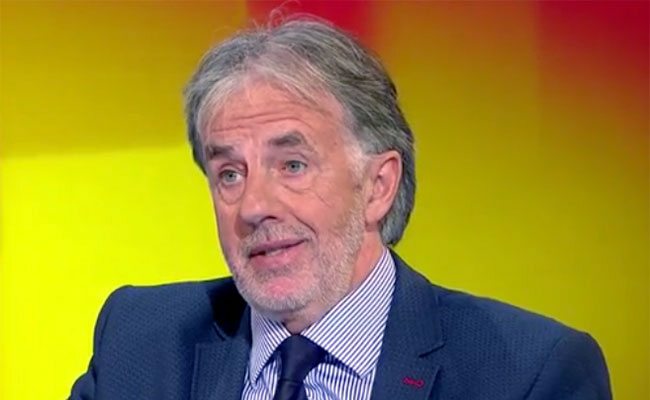 Former Liverpool defender and current BBC pundit Mark Lawrenson posted on social media that he had a “facial cancerous blemish” removed and was awaiting on news from his doctor whether or not it spread to his lymph nodes or other parts of his body. Thankfully, Lawrenson’s cancer didn’t spread and by removing the blemish, he became cancer free. If not for an eagle-eyed and concerned viewer, this may have had a tragic ending. Lawrenson explained how a viewer noticed a darker patch of skin on his face that wasn’t there before and wanted him to get it looked at immediately. Lawrenson kept putting it off until the viewer emailed him, got it checked out and sure enough it was cancer. That email was the kick up the backside I needed. I went to get it looked at immediately, and it was cancerous so I had it whipped out straight away. I would urge anyone with any similar doubts about a mark on their skin not to wait, and to do the same. People can be very stubborn and ignorant, thinking ‘well it is not going to happen to me’, but of course it does. I never found out who the viewer was who contacted the show, but we are trying to track them down now. I would love to be able to get in touch to thank them, and hopefully this article will help that to happen. Waiting for the verdict was like having the Sword of Damocles hanging over my head, until I went in on Wednesday to get the results. I have been in that situation before, when my sister Lisa was diagnosed with terminal brain cancer in 2003, and I expected the worst when I walked into the room. Mrs Harper-Machin started by saying ‘it’s good news’, which is all I wanted to hear. Then she was explaining what they had done and all of that, but I was not listening – she could have said that I owed her a couple of million pounds and I would not have been bothered because I had the news I wanted. I tweeted about it on Thursday because they were brilliant to me in Ormskirk and Whiston hospitals. If I had gone private, I could not have had better care. Now that Lawrenson is back, he’s appreciative for all the support he has received. And just goes to show you that sometimes it’s good to read the comments.